Yesterday was a fantastic mail day when I received a package of goodies for my collaboration with Our World Boutique! I was able to select a clothing item and a jewelry items from their website. I wanted to choose two items that would compliment each other and my style. 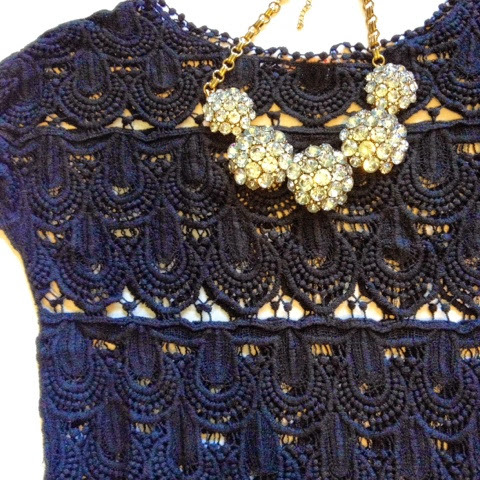 I chose this gorgeous lace crochet top with fringe detail and this fun statement necklace for a big pop of sparkle. It was so hard to choose because I loved everything. 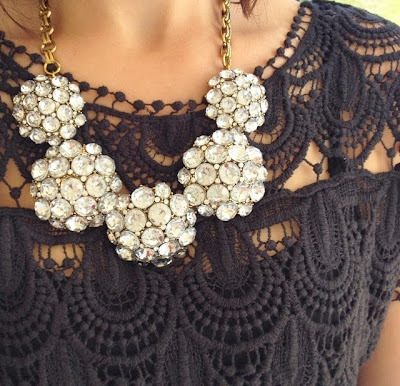 I have been eyeing this necklace for awhile and the top is so different than many of the items I already own. I picked the top because it's gorgeous plus I thought it would be a great piece to transition from the end of summer to the beginning of fall. I paired the top + necklace with my most comfortable denim, highest leopard heels, my go-to handbag, and pretty bracelets. I think this outfit would be perfect for a date night or in my case, the everyday runway. Also known as the grocery store with my sweet girls. This look gave me confidence and I felt so classy in it. The perfect combination! Our World Boutique is offering 20% off your order + free shipping if you spend $15! Go check out all of the pretty items they have to offer at amazing prices + their customer service is amazing! And a big thanks to my amazing four year old photographer for the full length outfit pictures! She's the best. style: dots. boats. pom poms.